Hope you're all getting ready for wedding season! 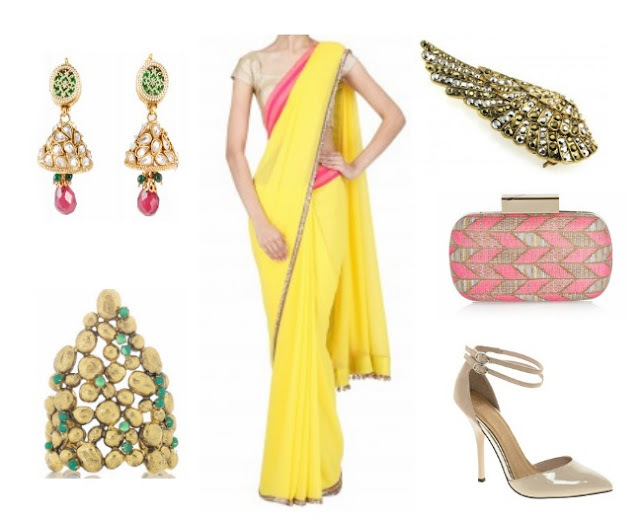 Have I got the perfect fun and bright sangeet outfit that can never go wrong! I absolutely love the bright contrasting colours in this Manish Malhotra sari, just add a bit of green with accessories for an amazing colour combination. I've also been seeing brooches around and think they look lovely pinned on the pallu of the sari.